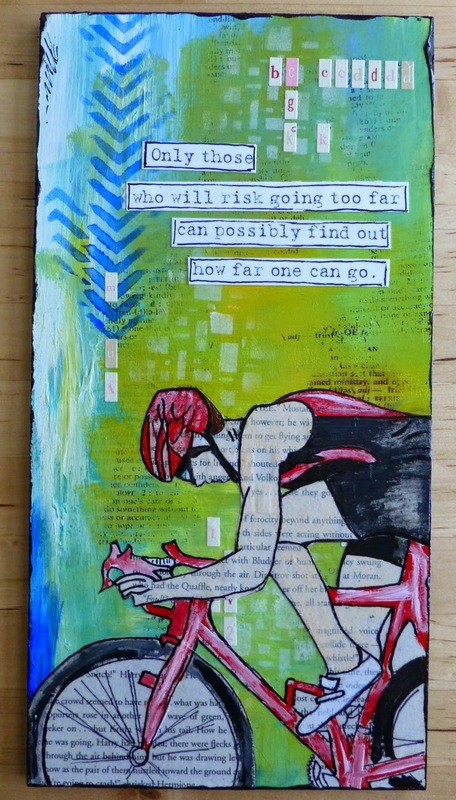 As I'm sure some of you know, my husband is a triathlete. 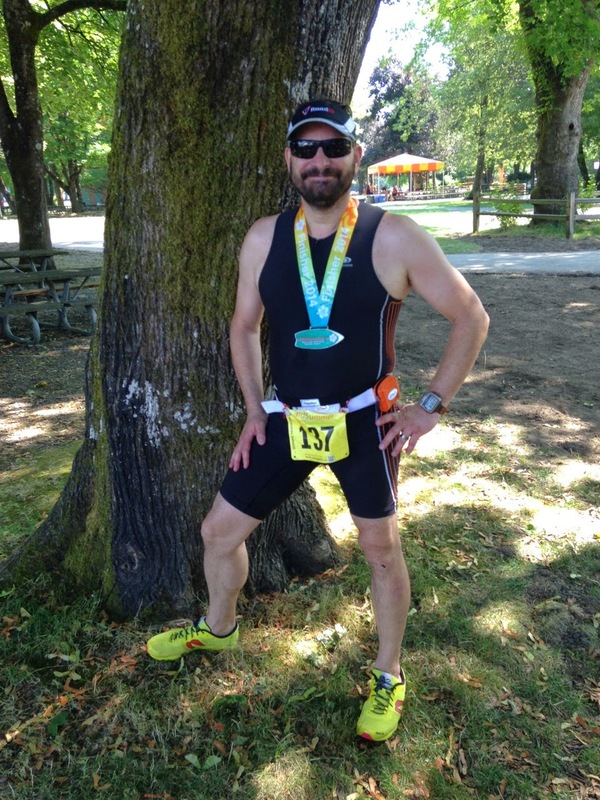 He's currently training for a half-ironman in St. Croix. So we are living eating and breathing endurance sports. And it's coming out in my art. 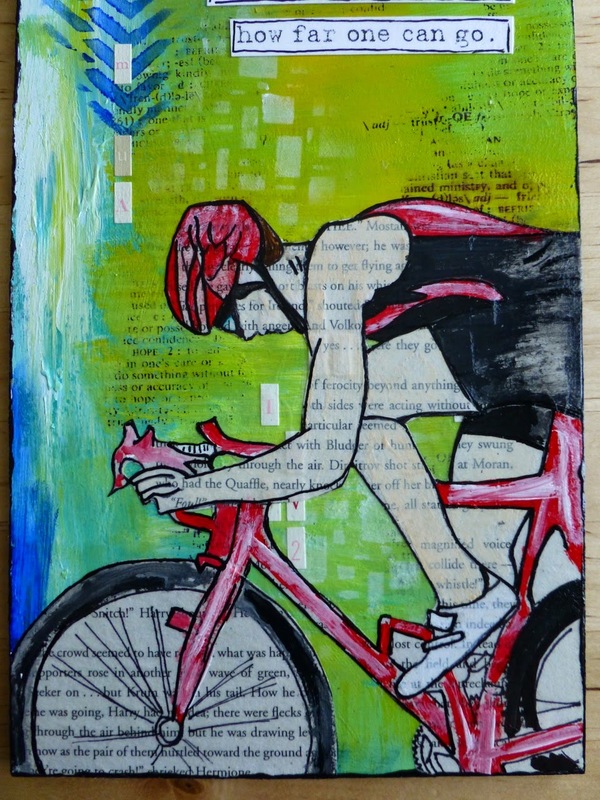 A real challenge with collage work is making art that would be suitable to add to a man's collection. Let's face it, a lot of it is pretty girly. I think I met my goal on making a masculine collage that still incorporates all the elements and techniques that make up my work. 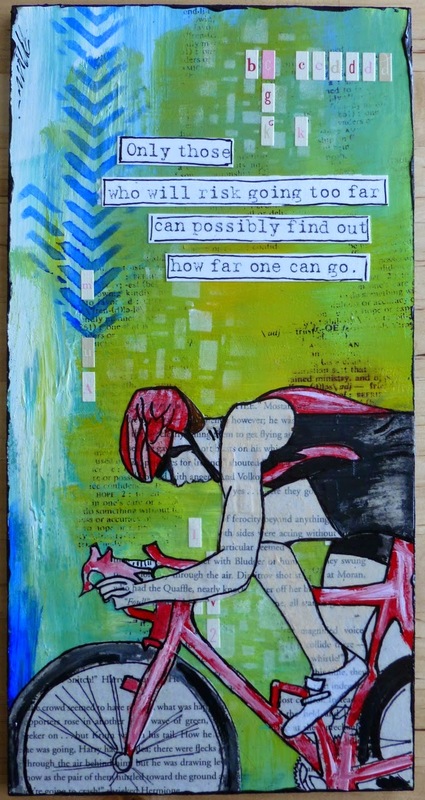 Do you have an endurance athlete in your life? Is your spouse sporty? How about you? Do you do sweaty things? As always, your work inspires me a great deal. 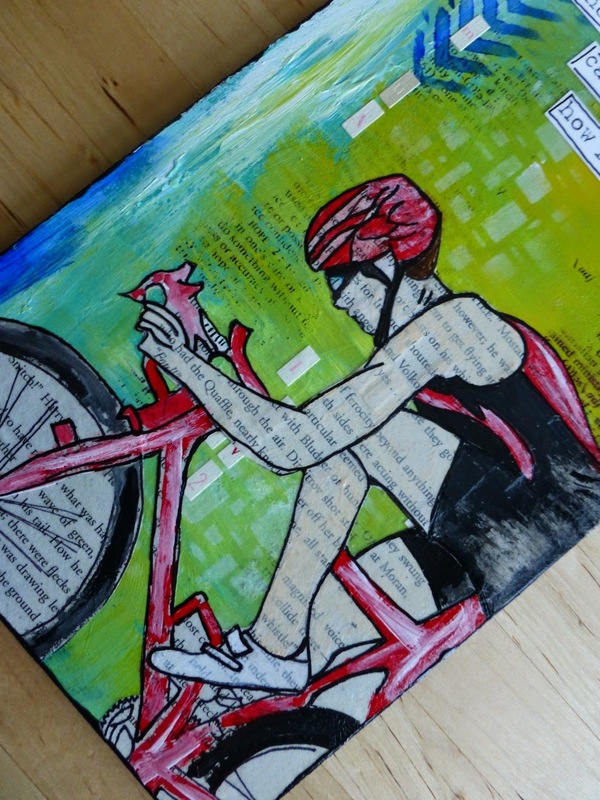 Not so much the subject matter in this piece (I don't cycle) but I adore your use of color. That is so good, I really like it. Looks like Chris. 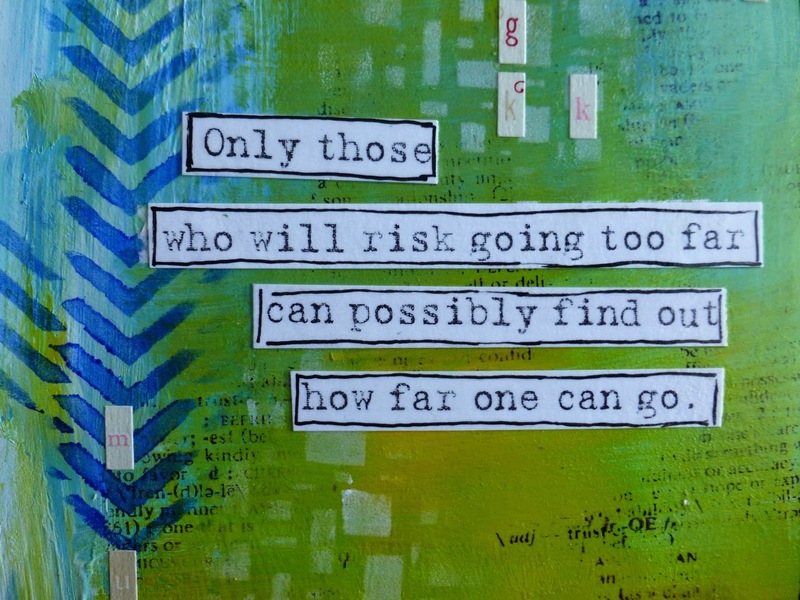 Perky, nihilistic, creative, homeschooling, foodie, artist from Oregon by way of British Columbia, Canada. My work can be seen in Somerset Gallery, Somerset Life, Memory Makers, Scrapbooks Etc., Family Fun, Home Education, ScrapStreet, Scrapbook News and Review, Art Journey Journal and A Card a Day by Paper Crafts.